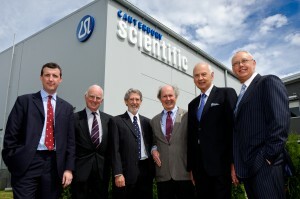 Medical device company Canterbury Scientific was referred to Communicate IT to help them announce the opening of their new $1.2m Addington facility in February 2011. While the company had been quietly researching innovative control products for hemoglobin testing for over two decades, they were relatively unknown in the market – and the opening was the catalyst to change that. Objectives: The initial concept was to generate some media coverage surrounding Canterbury Scientific’s new state-of-the-art research and development facility. Once we started exploring all of the possibilities though, the project expanded to include a full page advertorial in The Press as well as assisting with event collateral. After some tremendous success, we embarked on further projects together to help expand their profile, including redeveloping the company website, launch a newsletter and social media efforts, writing award submissions and press releases. Strategy: Communicate IT conducted a thorough site visit and interviewed several leaders at Canterbury Scientific to fully understand the company, its products, history and its niche in the market. We then developed the content for the press materials and a series of in-depth articles and coordinated supporting content from Canterbury Scientific partners and suppliers. Results: In early 2011 we ran the advertorial and obtained coverage in The Press, the National Business Review, the New Zealand Herald, NZ Doctor, NZ Health & Hospital, and a spot on the Radio New Zealand programme “Our Changing World”. 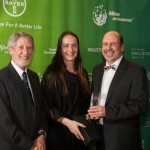 Canterbury Scientific has gone on to win numerous awards, including the 2012 Champion Canterbury Awards for Global Operator (small enterprise) and the Supreme Award, and the New Zealand Innovators Awards in Health & Science for their Haemoglobin A1c control. They were named in the Technology Investment Network‘s fastest growing technology companies list in 2011 and 2012. This has continued to generate significant media coverage including profiles on TVNZ, in the NZ Herald, National Business Review and The Press. We also helped the company create video profiles to help tell their story to new clients and partners.